This started out with a dramatic scenario description, written in second person, sort of guiding the reader through a ghost encounter situation. After that, to my surprise, it actually explained ghost stories as only having life as stories and nothing real behind them. After that it gets into individual castles that are known for ghost stories and I was amused to find seven of them that I have been to. 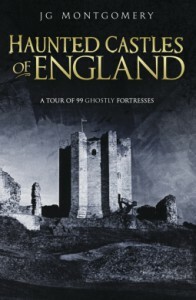 Most of the book is a series of blurbs about each of the castles, giving a little history and relating what stories have been told about ghost sightings in them and any speculation about who these ghosts might be. The approach is refreshingly objective, though the author does admit to seeing three ghosts first hand at the end. I expect to refer back to this book as a reference whenever I travel, to see what stories have been told about castles in the areas I visit. Though the individual entries are short, they are sufficiently descriptive to be a good travel guide for the castles themselves, with or without the ghosts.